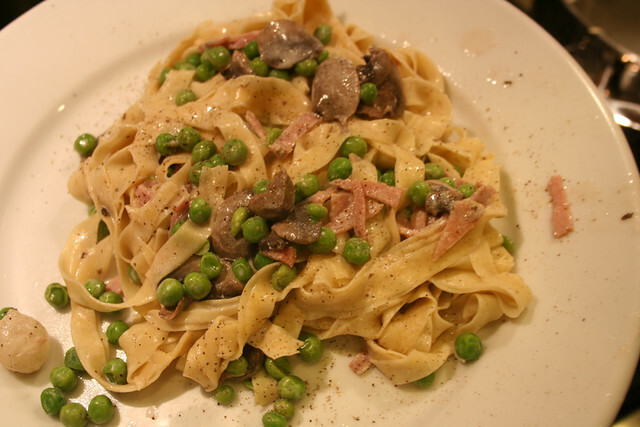 We made this last Sunday and made it even better because we made homemade pasta. 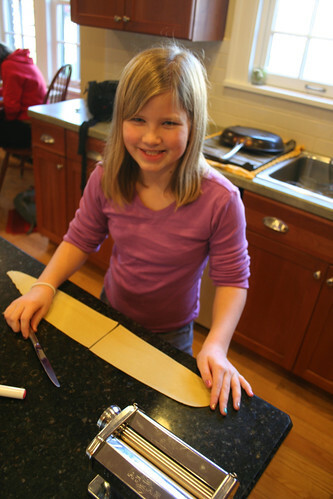 We haven’t made pasta in a super long time and me and Sophie had fun doing it together. I don’t think she ever made it before. Place the flour in a food processor, and with the motor running, add the eggs one at a time. Continue processing for 15 seconds. 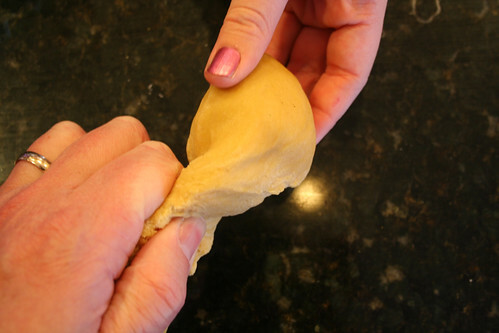 Turn the dough out onto a lightly floured surface, and knead until it has formed a smooth, firm ball. Cover with a kitchen towel and let rest for 30 minutes. Divide the ball into 5 pieces. 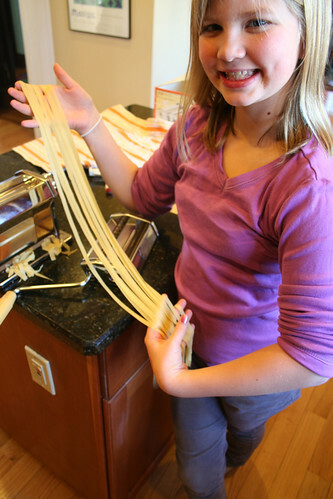 Use pasta maker to roll out each ball for whatever kind of pasta you want. 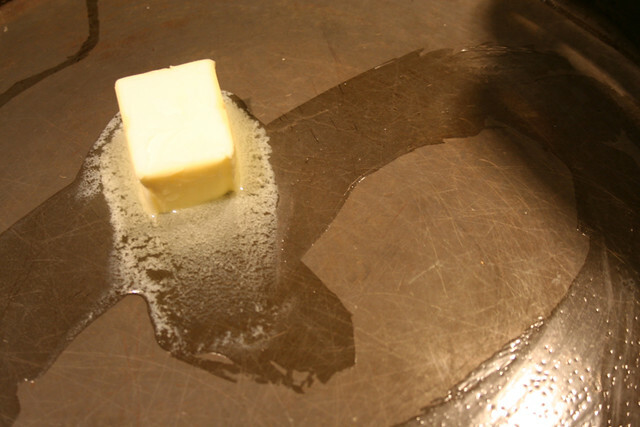 Heat 3 T. butter in skillet; add mushrooms and saute for about 5-10 minutes. Add the peas and cook for a few minutes. Add 1/2 cup of cream, heat to boiling and simmer until thickened. 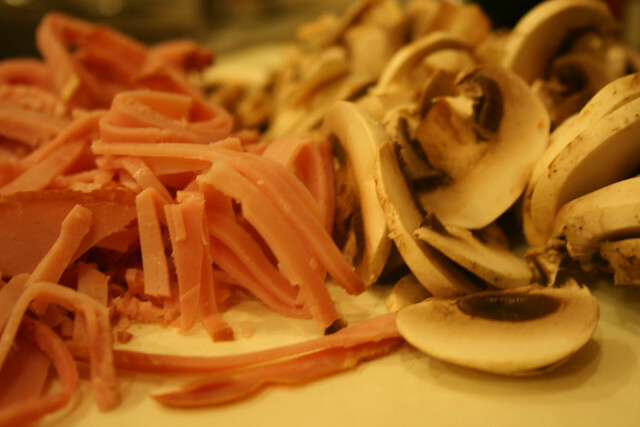 Add the ham and season with salt and pepper. 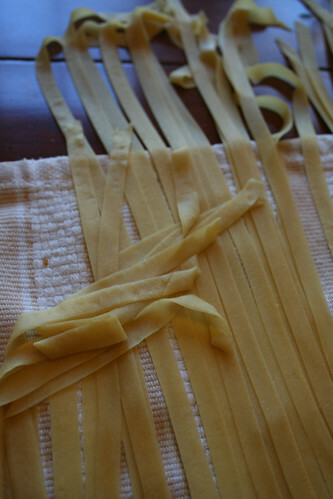 Meanwhile, cook the fettuccine in boiling water until cooked al dente. Drain when done. 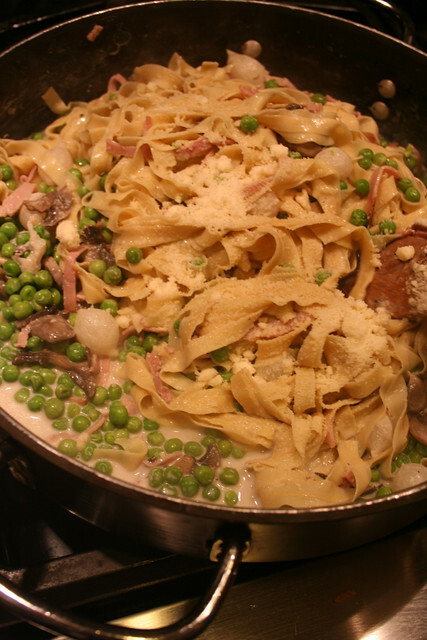 Throw the fettuccine in the skillet with the mushrooms, ham and peas – put in more butter and cream if you want it. A scoop or two of pasta water is good also. Add lots of parmesean cheese and more salt and pepper if you want.